Note: This item is not available for SHIPPING TO AK, HI, and PR. OR APO.FPO.DPO. 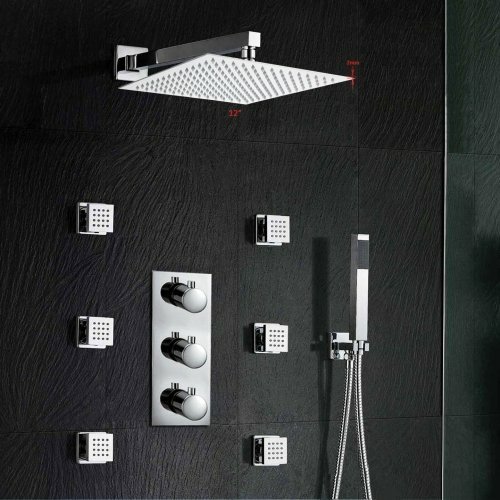 With three selectable water modes, our AKDY SH0126 shower head is fully featured and multifunctional. 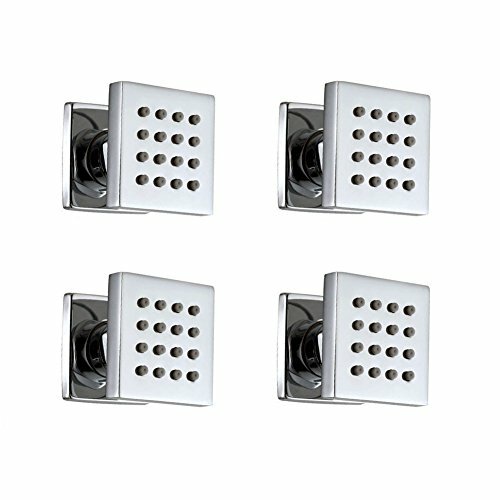 An array of 45 outer water nozzles and 16 dedicated water jets makes this shower head a great addition to any bathroom. 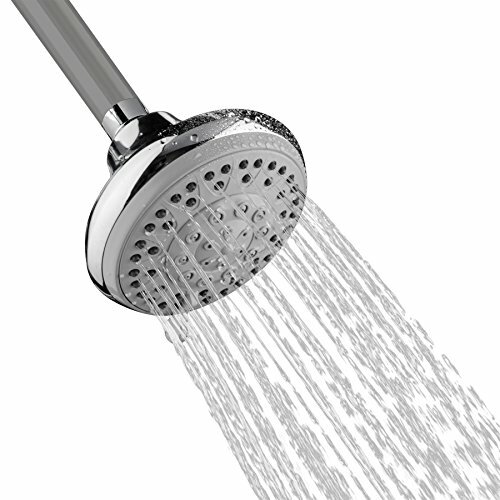 This hand shower uses 1/2" standard sizing and is covered under a 1-year limited parts warranty excluding labor. Style also available as a hand shower. Material: ABS Color: Chrome Size: 4" Shape: Round Thickness: 3.7" Assembly Required: No Shower Arm Included: No Outlet Size: 1/2" Shower Head Swivel: Yes Number of Nozzles: 45+16 water jets Nozzle Material: Rubber Warranty: 1-Year Manufacturer Limited Parts Warranty Excluding Labor Note: This item is not available for SHIPPING TO AK, HI, and PR. OR APO.FPO.DPO. Note: This item is not available for SHIPPING TO AK, HI, and PR. OR APO.FPO.DPO. Unique oval exterior, beautiful chrome, and stylish design. This AKDY 11"x 5" Shower Head is out of this world, with its floral pedal design features that captures the eye and imagination. 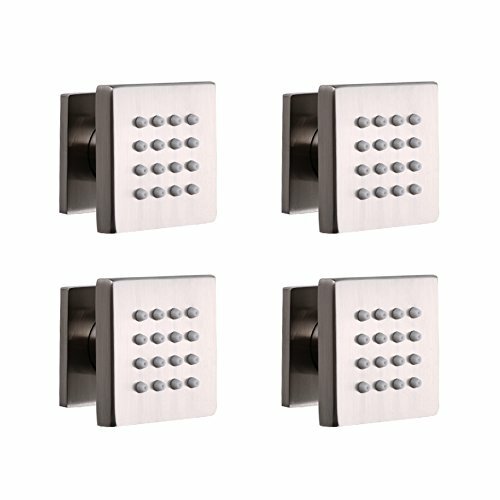 Shower in luxury as you stand underneath and descend into relaxation and tranquility by using 120 nozzles overhead. 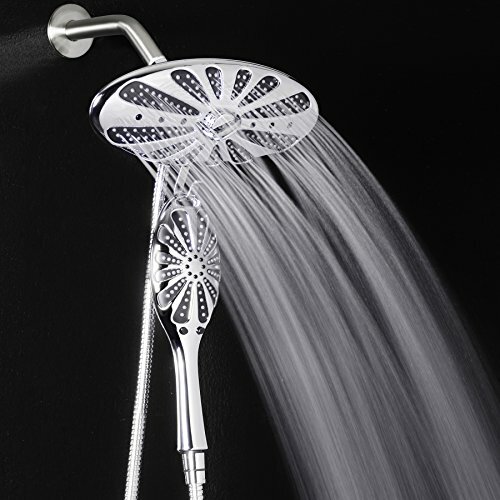 This shower head has swivel motion, so that you don't have to be in one place. Grab the wand with its 56 nozzles for additional support for those hard to reach areas. Material: ABS Color: Chrome Shower Head Size: 11" x 5" x 5.5" Wand Size: 3.5" x 10.5" x 1.5" Shape: Oval Thickness: 5.5" Assembly Required: No Shower Arm Included: No Outlet Size: 1/2" Shower Head Swivel: Yes Shower Head Multi-Function: 3 Wand Multi-Function: 2 Shower Head Number of Nozzles: 120 Wand Number of Nozzles: 56 Nozzle Material: Rubber Wand Holder Included Warranty: 1-Year Manufacturer Limited Parts Warranty Excluding Labor Note: This item is not available for SHIPPING TO AK, HI, and PR. OR APO.FPO.DPO. 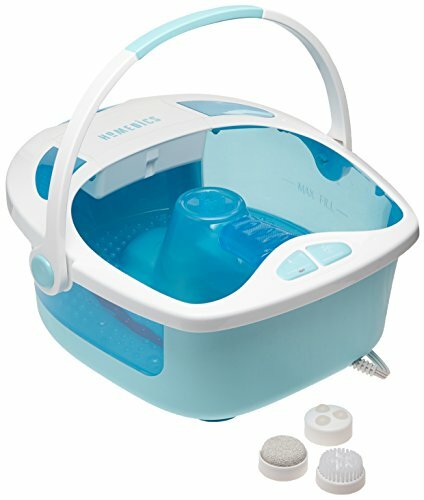 Treat your feet with the HoMedics Shower Bliss Foot Spa. The heat boost power heats cold water in minutes and maintains temperature throughout use while the massaging, shower and bubble action gently massages and soothes tired feet. A 3-attachment pedicure center allows for to pumicing, cleansing and massaging. An on-board storage compartment is great for storing pedicure attachments when not in use. The acu-node surface provides additional massage to the bottom of the feet while the comfort gel footrest provides cushioning support. Carry with confidence and ease by using the built-in tote handle. 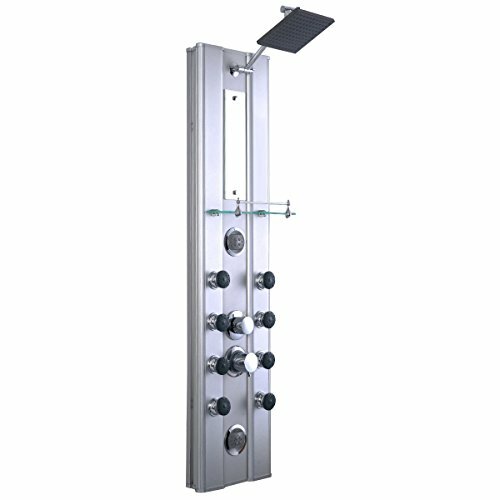 Product Features: The ELLO&ALLO Shower Panel Tower is constructed with the highest quality SUS304 stainless steel and with an attractive brush stainless steel finish to match, this shower panel is designed to provide only the most opulent of showers with its fully simultaneous functions and variable controls. Immerse yourself in a truly relaxing shower experience and enjoy the modern style of this beautifully designed shower panelSpecifications-Brand: ELLO&ALLO-Faucet Body Material: Brass-Panel Material: SUS304 Stainless Steel-Finish: Fingerprint-free Brushed Nickel shower system-Hand Shower: Engineering Grade Plastics ABS, PVD Plating-Shower Hose: 59" long stainless steel chrome hand shower hose -Installation Method: Wall Mounted-Functions: Six Modes (Rainfall, Waterfall, Horizontal Massage Spray 2-setting, Hand Shower, Water Spout)-Product Dimension: 59"x18.3"x8.46"-Weight: 26.4IBAttention:1.2 Year Manufacturer's Warranty. Or You can directly contact us, when it comes to any quality problem.2.All dimensions are measured manually, there may be 0.39"-1.18" (1-3cm) deviations.We are Factory Proprietary Store,Providing Best Price and Customer Service.No Regret "Add to cart"
This is a factory replacement warm gray (light beige) Moto Massage jet assembly (part number 73307) for 1989 - current Hot Spring spa models. 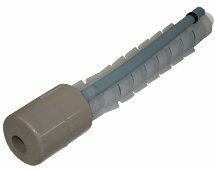 It is also used to replace the obsolete 71897 taupe colored, 71262 gray, and 70319 white/ivory colored Moto Massage jet assemblies.The kit includes a new silicon air tube (part number 70307) and the cap (part number 30723). 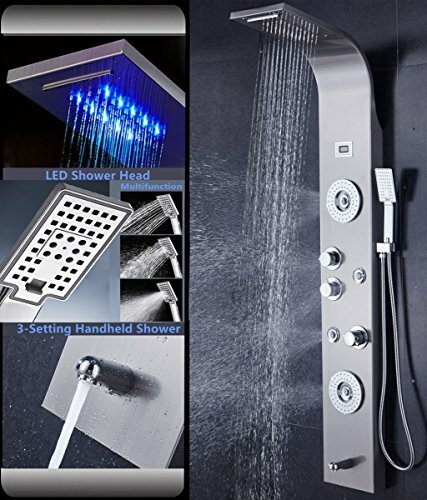 Giantex Shower Panel Rainfall Waterfall Shower Head Massage System With Massage Jets and Hand Shower (46"
Looking for more Massage Jets similar ideas? Try to explore these searches: Pivot Insert, Tech Audio, and Black Strap Sport Watch. Look at latest related video about Massage Jets. Shopwizion.com is the smartest way for online shopping: compare prices of leading online shops for best deals around the web. Don't miss TOP Massage Jets deals, updated daily.